No World Social Forum will be held in 2010. Instead, about 40 events are taking place all over the world in order to broaden the alterglobalist movement, to reflect on the crisis – whether it is called economic and social or “civilisational” – and in order to prepare for the WSF in February 2011 in Dakar, Senegal. The year began with a very successful event in Porto Alegre, birthplace of the first World Social Forum. It took place between the UN environmental summit in Copenhagen and the Cochabamba people’s summit in May 2010. The ecological issue gave a real boost to this Social Forum event, with many very motivated young people. The anti-capitalist and the environmental issues were successfully coupled and a new slogan emerged: “capitalism is unsustainable”. Porto Alegre this year was also a moment of reflection, 10 years after the first World Social Forum. It allowed for interesting debates on the “civilisational” crisis, the state of neoliberalism, the political impact of the WSF, and so on. In May, a thematic social forum took place in Mexico City. While the attendance was not overwhelming, in terms of content it was very interesting, with seminars on agriculture, ecological issues, social issues, global taxes, gender, etc. For some, it may have seemed a bit confusing, since it took place on the “Zócalo” – the city’s main square –, alongside the hunger strikes by electricity workers and those of a Zapatista camp, both independent from the Forum. At the end of June the second US Social Forum occurred in Detroit. For those accustomed to the social forums, this was “back to the old days”: an extremely enthusiastic crowd of 15,000 people, a very motivating opening march, a central place where (almost) all seminars took place and people could meet, drink and eat. Diversity was very well respected with indigenous, white, black and Latino men and women represented everywhere. All seminars and assemblies were very lively and participatory. The organisation was perfect, even with “linguistic justice” in the form of interpreters and translators where needed. One week later the European Social Forum came together in Istanbul and was a kind of anti-climax. While there certainly was a good closing march, very good seminars and good contacts, the ESF is clearly sliding backwards. After Florence, London, Paris, Athens and Malmö one has to conclude that European activists do not appear to appreciate the formula. There were hardly 2,500 people present in Istanbul, with, proportionally, very few Turks. Organisation was minimal. I want to use these two last examples, Detroit and Istanbul, to compare and see what conclusions can be drawn for the future strategy of the WSF. Firstly, the whole preparation process was very elaborate. The starting point was, obviously, the charter of principles of the WSF and, consequently, the “open space”. Nevertheless, since the “open space” is not a “level playing field”, a long process of looking for the necessary partners was initiated. There was much discussion of who ought to be inside. The organisers wanted to have the most marginalised people and groups included in the process. They then had to undertake another long process of contacts and discussions, because many of the groups did not know each other or never had talked to each other. It is this process of what they call “intentionality” that made the USSF a real inclusive grassroots event, built on trust. Secondly, the old controversy around “space” versus “action” was solved with “people’s movements assemblies”. These assemblies, of which there were about 50, started to work long before the event. Their advantage is not only to bring together several thematic groups that work on the same topic and allow them to network, but also to allow them to adopt resolutions or action agendas. On the last day of the Forum, all resolutions were brought together, and many of them were presented in a plenary meeting. These people’s movement assemblies took place alongside the more than 1,000 self-organised seminars and workshops. Whereas these seminars can be seen as ends in themselves, the assemblies are nothing more than an event in a long preparatory process with initial implementation and then further development. Thirdly, the seminars and workshops I attended were very participatory and motivating. Panels were almost never physically separated from the public, people sat around in circles, no one talked for more than 5 or 10 minutes, participants spoke alternately with the performance of some piece of music, a poem and some dancing. The “public” was constantly invited to intervene. Diversity was always scrupulously respected. Fourthly, I noted a difference in personal attitudes in people. I do not want to be naïve and think there are no power relations within and between movements and people in the US, but the way they were dealt with was very attractive for a European participant. All ideas, wherever they came from, were collectively discussed and adopted or rejected. But never was any suggestion dismissed a priori without consultation. Everyone had the impression he/she was taken seriously. No one was ever hurt or humiliated. There was an openness and a willingness to listen to others. These last two features certainly contrast with what happens at the European level. Seminars and panels in the ESF were organised in the “old-fashioned” way, with a mainly male participation and speakers who need a good 15 to 20 minutes to make their point. If you have six people in a panel, it means people have to sit and listen for an hour and a half to two hours. Interventions from the public are thus severely restricted. Diversity was extremely limited or absent; translation was mostly non-existent or at best consecutive. The Forum was divided among several venues, though less than in Malmö two years ago. The major difference I experienced was in the attitudes of people, most of them knowing each other for many years through their common participation in the preparatory process. Most of them, knowingly or unknowingly, carry a label and are not listened to for what they are saying but for those on whose behalf they are speaking. The words used serve to signal the position from which they speak. This severely hinders the emergence of new ideas and the potential for convergence. In terms of content, groups are still divided along the old lines of “revolution” and “reformism”. Trade unions are welcomed but often scolded for not being radical enough. Criticism of European Union policies is either contextualised in an anti-EU approach or in an acceptance and opposition approach. Post- or anti-modernists confront modernists, both defending social and ecological justice but from radically different perspectives. As long as no intentional process of clarification and convergence is initiated across these different oppositions, the differences can become permanent and insoluble fault lines. More open discussion is badly needed. In sum, compared to the USSF, the European Social Forum is a more top-down process organised by a couple of leftwing trade unions and a small group of social movements, people who have known each other for some years now and who are defending their own positions rather than the process and its huge potential for convergence. This is certainly far from being intentional, and most people are probably working very hard and honestly for the ESF, though missing its major objective. The question is whether they can succeed in bringing about a new political culture and in promoting the so badly needed political convergence. These different points may explain why the attendance was so limited in Istanbul and why so few contacts were made with the Turkish friends. While participants were highly motivated, the mobilisation in Europe is clearly declining. Very few new and common agendas were decided on. The declaration of the final assembly calls for a mobilisation on September 29, 2010, everywhere in Europe in order to protest against the austerity policies, but there was no agreement to call for a massive participation in the trade-union-organised demo in Brussels on that day. This is really a shame, since only united actions, and consequently some modest degree of compromise, is needed when social rights are being threatened. It indicates that rivalry is seen as more important than cooperative action and power relations more important than content. Some left radicals still seem not to realise how far the crisis of the left has eroded their power and how badly cooperative action is needed if they want to survive. It is clear that the Africans have their own dynamics and are perfectly able to organise their own forum based on their own social, cultural, political and organisational resources. But since Dakar will host a World Social Forum in 2011, it will also have to cope with the influences coming from an ageing Europe, a very dynamic US, the experienced Latin Americans and the limited number of Asians that now come to the WSF. Expectations and ambitions are high, since the first WSF in Africa, held in Nairobi in 2007, did not leave a unanimously shared positive memory. The preparatory work, however, is in very good hands in Dakar, and I expect the WSF2011 will be a major success. Much will depend on the capacity to talk and listen, to cooperate and share. While this is easy to state, it may not be as easy to achieve. At this moment, there is a lot of frustration among the “old” participants of the WSF, those who have participated since 2001, 2002 or 2003. Concrete results in terms of struggles or in terms of real political change are still lacking, except in Latin America where some leftwing governments are trying to curb neoliberal policies. The old space-versus-action opposition has not been resolved; many networks have been built and consolidated and therefore do not need the WSF anymore. While convergence was easy in resistance to neoliberal policies, it is more difficult to achieve in proposing alternatives. The current strategy debate in the WSF reflects these different oppositions and has to be linked to the objectives of the WSF. According to Chico Whitaker, one of the founding fathers of the WSF, these objectives are threefold: to create a new political culture, based on respect and diversity; to give political power to civil society; and to organise political action and social struggles in order to overcome capitalism and neoliberalism. While these objectives are not worded in a hierarchic way, it should be clear that the first one conditions the success of the second and the third one. The political relevance of the WSF, its potential to create new political content, to attract important intellectuals from all over the globe, to offer new alternatives to social movements and to create an emerging opposition to the capitalist and neoliberal world order depends on its capacity constantly to re-invent itself and create an attractive intellectual framework. While starting with political action and social struggle may seem most important and most urgent, there is a risk of ignoring the rich diversity of WSF participants and their diverging demands, as well as overestimating the strength of our movements. The old left does not have a strong tradition of democracy and is in danger of overlooking some of the new methods and ways of thinking of the new social protagonists, less focused on competition and more on cooperation. This point helps to clarify the difference between the ESF and the USSF. The ESF is more oriented towards content and action, whereas the USSF is stronger on method and political culture. These differences also explain the different proposals in the strategic approaches. At this moment, three separate strategic paths are being explored. The first is that of the Social Movements Assembly (SMA). It seems to be following a dual path, on the one hand, to create its specific space within the WSF process, on the other hand to create a parallel structure to the IC and the WSF itself. The SMA clearly has created a coalition of some important global movements dealing with debt, gender, peasants, etc. However, their main focus is that of arriving at a common action agenda, irrespective of the political content of its anti-capitalism and without silently assuming a common political content. The second is the organisation of a strategic debate on the website of the WSF2011, based on the different events of 2010, on actions of different social movements or on contributions of global intellectuals. The organisation of e-debates around some major controversies of our times can help to clarify the challenges the WSF is faced with and hopefully also to clarify ideas about strategies. Different contributions will help to convey the different strategic elements in social movements and events all over the world. The third strategy could be the organisation of live real debates during the WSF2011 in Dakar and afterwards, around some of the major issues proposed by the Organizing Committee or around issues emerging from the contributions on the website. Ideally, these would be “co-organised events” in parallel with the self-organised seminars of the WSF. This could help prepare the hoped for convergences, not in a directed or binding way, but pointing to possible links between topics, transversalizing themes, giving overviews of global debates and orienting towards major emerging topics. This formula has been very successful in Porto Alegre 2010, and this is the way the “plenary session” in Detroit was organised every day. The major advantage is to lend continuity to the debates on some major topics and implicitly to inspire social movements as the conferences help bring out the different opinions on a topic. In fact, it allows for combining different objectives, bringing together different strands of ideas on one specific topic or controversy, discussing and listening, and inspiring the self-organised events, clarifying what is at stake and preparing for future thinking and action. These three strategies can be complementary and can help to create a political impetus and lead to a common agenda based on a common language and a common understanding of today’s political and social realities. The Forum’s and social movements’ general difficulty in re-defining their strategies and achieving or regaining political relevance is connected to the crisis the left is facing in many parts of the world, especially in Europe. This crisis is not only due to ideological differences, but also to the ecological crisis that has brought to the fore a major discussion on modernity. Since the left is a child of modernity, these questions are interconnected and urgently need some clarification: what exactly do we mean by “modernity”, what do we have to/want to reject, what do we have to/want to preserve? Can the problems be solved on the basis of a Marxist analysis of the ecological crisis? There is now a lot of discussion about a “civilisational” crisis and “occidentalisation”, development, growth, human rights, states, and so on. While such a debate on “modernity” can perfectly well be organised within the Forum, it is clear it will be years before a common – or divergent – understanding is reached and new strategies can be developed based on this. Such a debate can be framed as the search for a new emancipatory universality, as proposed by the African friends organizing the WSF2011. It will necessarily be based on a respect of cultural and political particularities of all social movements and can lead to the definition of new values regarding the relationship with nature and of “old” values in a new language. If the left wants to survive, especially in Europe, it needs an innovative approach able to attract young people, focusing on rights and on democracy, reframing solidarity in a multilevel way, redefining the objectives of the economy, connecting it directly to the social and political world. In this way, the WSF can help European social movements reframe their problematic and abandon the old oppositions that cannot generate solutions for today’s world. This does not mean ideological perspectives have to be given up, but that they might be framed in a different way. The WSF can also join the dynamic USSF in order to better mobilise and attract grassroots movements. The WSF is a reflection of the social movements that participate in it. In Europe, many of these movements have their roots in the state-related socialist outlook. The financial and economic crisis has created a backlash for different movements who are again simply defending their orthodox Marxist vision, forgetting its known shortcomings and ignoring the global changes and the new political actors. The “old left” is still one of the backbones of the social forum process, but, in so far as it is inward-looking, it is at the same time one of the major hindrances to overcoming the Forum’s shortcomings. 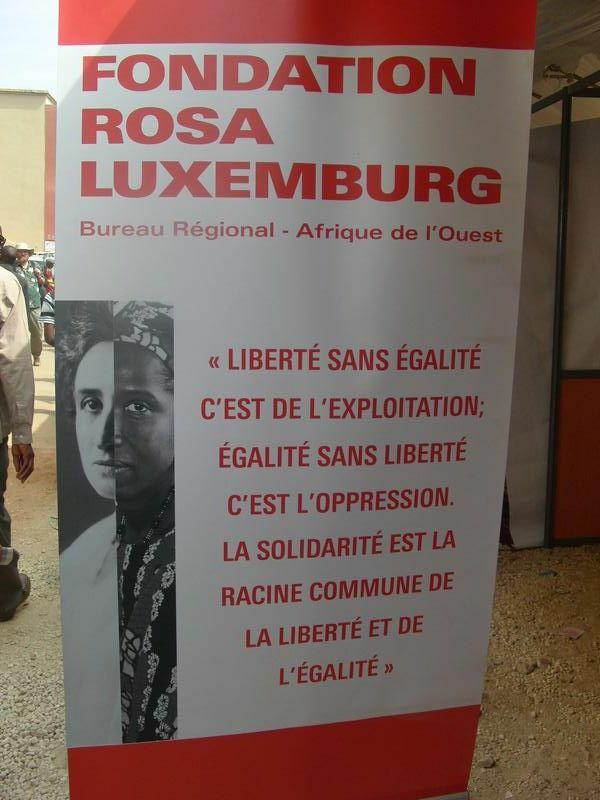 The challenge for Dakar is to find a middle way between the ESF and USSF, using first of all the dynamics of the African movements, the strength and capacities of the old left, and the innovative methods of the USSF. This is a difficult balance, and it is very understandable that the founding fathers remain very cautious, talking about “open space” and “civil society” and “new political culture” without ever defining them. The current discussion on the “thematic axes” of Dakar 2011 show how difficult it is to touch on new topics and to integrate new visions. Nevertheless, the WSF cannot afford to lose its “old left” with its analytical capacity and its knowledge of the past. If the WSF does not want to lose its political relevance, some kind of “surge” will be needed, in order to overcome the vagueness of “civil society” and the risks of the “open space”, as well as the old competitive approaches of the old left. New agendas with new discourses are needed. Today the WSF is a major civil-society movement in the world. It is faced with a choice: either it continues to organise and bring together lots of movements without any content coherence – this choice perfectly fits with the desire to become some embryonic form of a global civil-society representation. Or it can try to foster new ways of thinking and organizing in order to make new alliances possible that organise around content and try to put out ideological alternatives that can lead to new common action agendas. Both solutions have a potential to innovate the left, though the second approach is more innovative in terms of political culture. It is about looking for a middle way between the social movement’s assembly and the “open space” approach. The WSF was once described by Chico Whitaker as a “common good for humanity”, which it certainly is. But since it is nothing more than a tool for a transformative mode of political action, it constantly needs new people to modernise the tool, to allow for more innovation, to allow for progress towards another and better world. The World Social Forum of 2011 in Dakar, Senegal, can be a huge success, thanks to the dynamics and the input of many Africans. Dakar can teach the Europeans to talk and most of all to listen and to direct them to new agendas and discourses, and from the US Social Forum Dakar can learn how to combine the “rules” of the WSF with more political content.